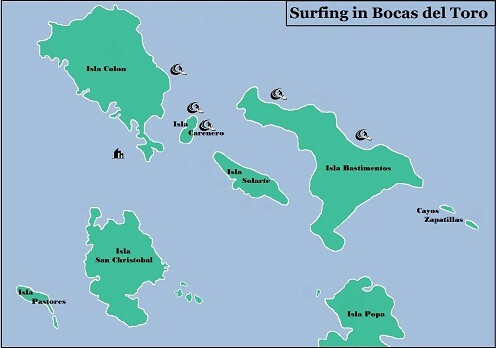 If you want to go surfing in Panama, Bocas del Toro is an excellent choice. Due to its wide range of easily accessible great surfing spots for all levels of experience, Bocas del Toro is a carefully guarded secret. Best time to surf is from November to April, with another peak in summer. In the area, the waves are usually fast breaking and left sided. Swell from the right direction forms hollow tubes at many surf spots around the islands. There are two excellent beginner spots to start your surf experience. You will find a gently, long wave just in front of Carenero Island. Together with your surf instructor you will have all the time in the world to fully enjoy your first long ride on a surfboard, the beautiful reef right underneath you. On Wizard Beach, Bastimentos Island you will find perfect conditions to learn surfing right next to the beach. Of course these two spots are not only great for beginners, many local and international surfers spend hours take pleasure in riding the tranquil waves during shorter swell conditions. Let the positive island vibes carry you away and explore what kind of surf options Bocas del Toro has in store for you! 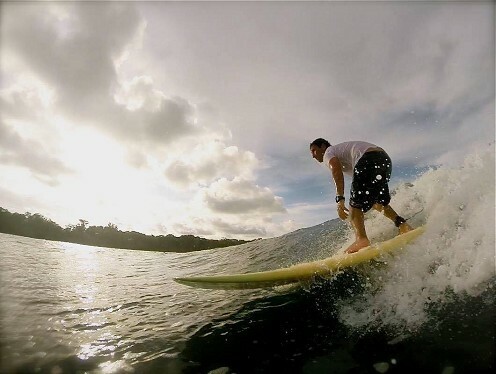 At La Buga Dive & Surf, we are offering surf lessons for all levels and surf tours for the adventurous surfer. We provide safe surf lessons with visual orientation by not only teaching you how to get up on a surfboard, but teaching ocean safety as well. Together with our highly skilled instructor you will discover the joy of surfing. We will not just drop you off in the water. Our own fast speedboats will stay with you at the surf spot at all times, providing extra safety and a place to rest if you need to recover from riding all the waves. Check out our La Buga Surf Video!